Consumers are looking for better and quicker ways to research automotive vehicles online. Increasingly they are using mobile devices to perfom their searching and shopping. Mobile traffic focused on vehicle shopping and research has unique needs and challenges. Vehicles are a high ticket item with a lot of features and details that you may want to include in a mobile display. However, with limited screen size and dwindling attention spans, jamming as much infomation as possible into the experience is not the way to go. So, how can you use vehicle data to create an excellent user experience for mobile visitors? 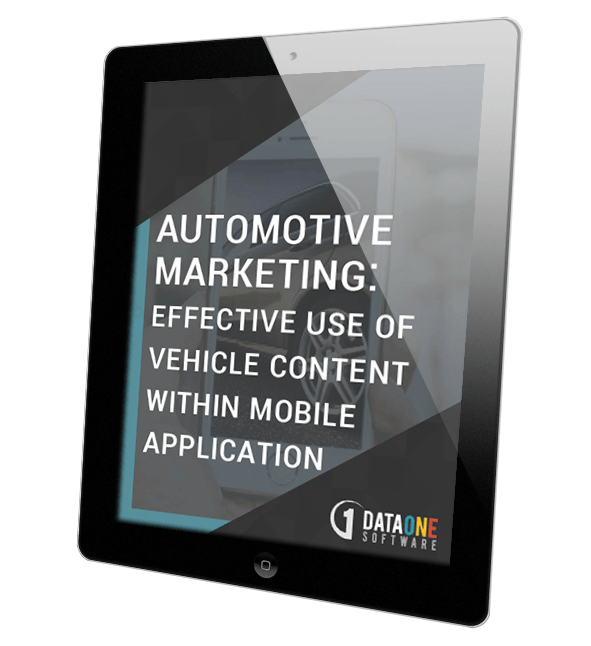 Our white paper "Vehicle Data for the Mobile Consumer" focuses on developing content for mobile applications in a way that best supports the consumers shopping and research pattern as well as optimizing for the medium.